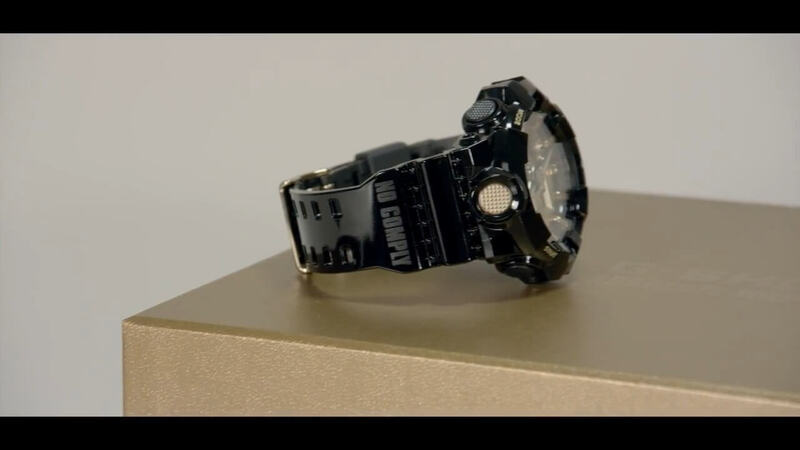 G-Shock Europe has revealed the limited edition #NOCOMPLY G-Shock GA-710GB on YouTube. 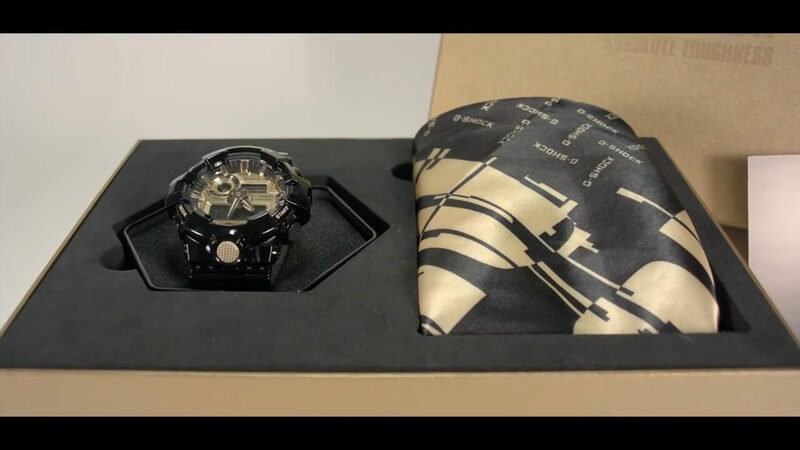 The watch is a glossy black and gold GA-710GB-1A with “NO COMPLY” and “LIMITED EDITION” text on the bands. It comes in a box set that includes a matching bandanna as seen in the video. The set is limited to 500 units worldwide. The No Comply campaign is named after a skateboarding trick and also suggests an independent, non-conforming attitude and lifestyle. The campaign features videos showcasing London’s subculture with skaters Lucien Clarke and Benny Fairfax and grime MC Novelist. The YouTube video is the only mention of this watch so far and details are scarce at this point, so check back later for more information. It is likely that this is a Europe-only release.